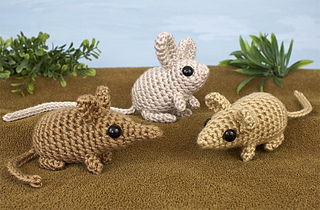 This pattern is available from planetjune.com for $7.00. 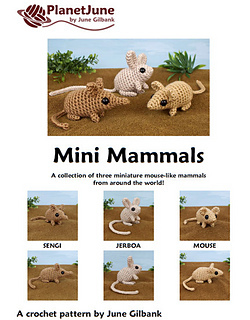 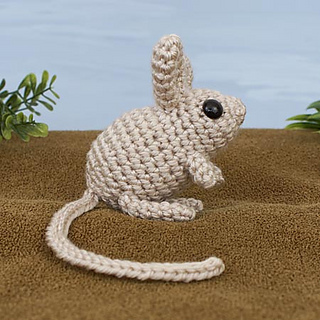 Mini Mammals includes three original miniature mouse-like mammal crochet amigurumi patterns from around the world (Sengi, Jerboa, Mouse) by June Gilbank. 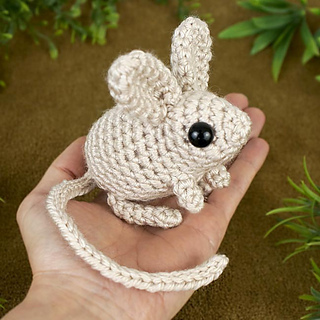 These life-sized tiny cuties are so adorably small that they can sit in the palm of your hand! 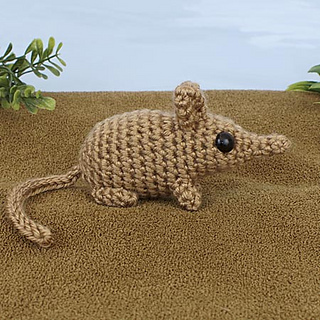 Sengi (brown in sample photos): Also known as elephant shrews, sengi are the world’s fastest small mammals; long-nosed insect-eating African mammals who are more closely related to aardvarks than to shrews or rodents! 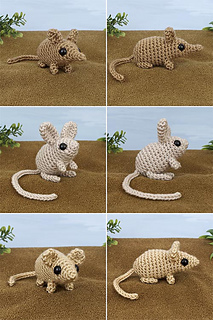 Jerboa (pale grey in sample photos): Nocturnal jumping desert rodents from Asia and north Africa; jerboa move by hopping on their long back legs, using their long tails for balance, like a kangaroo! 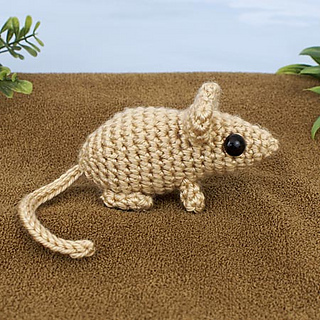 Mouse (sand-coloured in sample photos): Small, primarily nocturnal rodents who eat mostly seeds and grains; mice are among the most common and numerous animals in the world, and are found in almost every country. 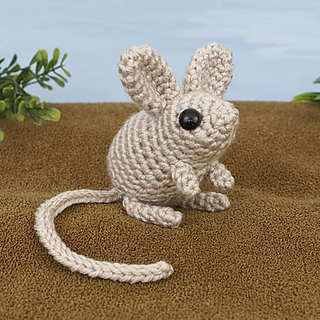 I designed a Long-Eared Jerboa for this pattern, but you can easily make a different type of Jerboa by substituting the Mouse or Sengi ears! 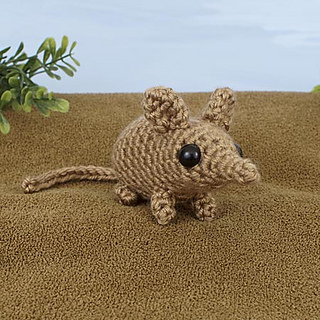 Real-life Sengi and Jerboas really do have huge eyes like these. 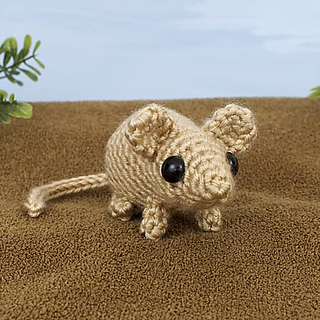 If you’d like to make a slightly less cute but more realistic Mouse, use 9mm eyes instead of the recommended larger-than-life 10mm eyes.